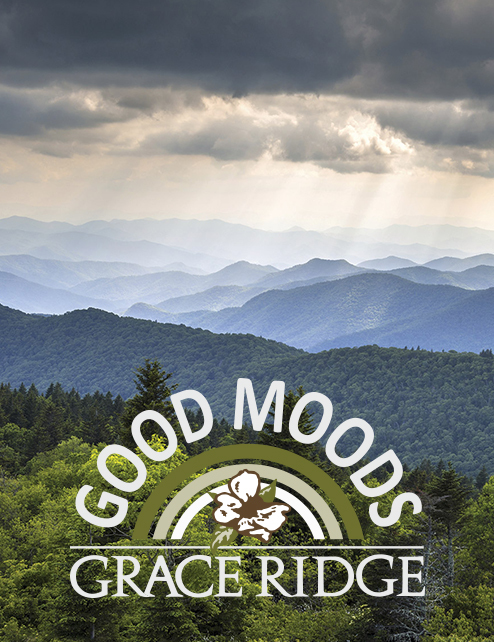 Located in Morganton, NC, Grace Ridge is a Life Plan Community owned and managed by Carolinas HealthCare System Blue Ridge. Our thriving, active community combines all of the modern amenities you expect in a fulfilling retirement lifestyle, plus a nurturing environment where neighbors become friends, and friends become family. In addition to independent living apartments and cottages, we offer assisted living, skilled nursing and memory care residences. Nestled in the foothills of the Blue Ridge Mountains, Grace Ridge Retirement Community spans 52 pastoral acres in the heart of Morganton, NC. At Grace Ridge, you can enjoy the things you love in a setting that celebrates all four seasons, including a mild summer and just enough winter flakes to build a snowman or a cozy fire. Each day, residents wake to panoramic views of the Blue Ridge Mountains and the Catawba River Valley, known for its historic lore and adventure. With so much to do at Grace Ridge, from clubs and culture to fitness and fine dining, you may never want to leave the community. But when you do venture out to explore all that retirement in this western North Carolina haven has to offer, we’re just about an hour from Asheville, Boone and Charlotte, and only minutes from Hickory and its world-renowned Furniture Mart. Should you prefer the shore, relax at nearby lakes or one of the famed Carolina beaches conveniently located within driving distance. Our core values prioritize behaviors evident at Grace Ridge Retirement Community, including collaboration, hospitality, integrity, respect and passion. Our mission is to create a secure environment that is supportive of an individual’s choices and preferred way of life, and our values contribute to our welcoming, positive attitude. We believe in being truthful with every interaction and adhering to high moral principles and professional standards. We believe in treating others with respect, courtesy, attentiveness and sensitivity and we do so with a high level of enthusiasm. We believe a good mood is integral to wellness and key to enjoying your retirement. Our vision for Grace Ridge is one where dreams and expectations truly are reality. At Grace Ridge, we complement gracious senior residences and Southern charm with our Good Moods wellness and events program, designed to promote healthy, active retirement living through wellness, fitness and intellectual vitality. Our affiliation with Carolinas HealthCare System Blue Ridge gives residents the confidence and peace of mind that all of their needs will be met, so they can turn retirement into renewal. As a continuing care retirement community, Grace Ridge inspires senior residents to live an active, independent lifestyle with a full continuum of care for peace of mind. If your needs change as you age, you can bridge toward a higher level of personal or health care without leaving the community you love calling home. For the convenience of residents, several types of agreements are offered, including Life Care, modified and fee-for-service. Regardless of the residence agreement, each provides professional and expert health services and operates under the leadership of Carolinas HealthCare System Blue Ridge. One of the things residents often praise at Grace Ridge is our nurturing care teams. Each staff member treats residents as individuals in a community of fellowship and friends. The skill and integrity demonstrated by our staff prompted CARF/CCAC to state our “caring and compassion are among the most genuine and authentic seen at any retirement community.” In fact, residents consistently rate Grace Ridge 95 percent or higher on annual satisfaction surveys. We’ll answer all of your questions and help guide you in the decision making process. How long can a good mood last? Why not forever? Download our brochure and learn more about the Good Life at Grace Ridge Retirement Community. We’ve answered some of the most common inquiries about active retirement living at Grace Ridge to help with your decision.